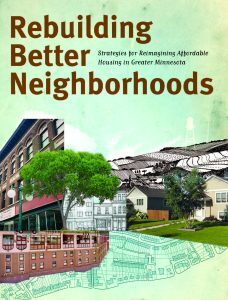 GMHF has published the second book in its Building Better Neighborhoods series. "Rebuilding Better Neighborhoods" features innovative developments across Minnesota that created new affordable homes. 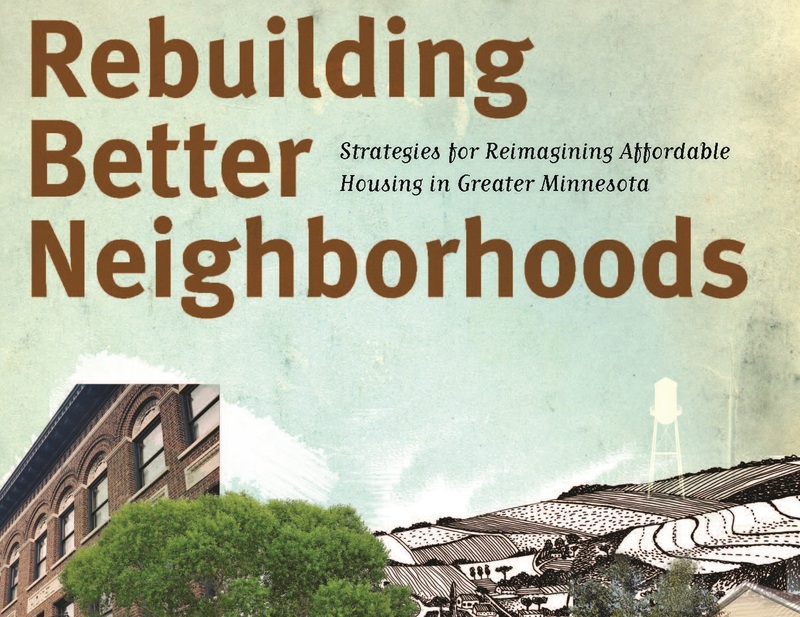 Greater Minnesota Housing Fund is delighted to present Rebuilding Better Neighborhoods: Strategies for Reimagining Affordable Housing in Greater Minnesota. The book showcases outstanding developments across Minnesota by some of the most innovators developers of affordable housing in the state. Each of the case studies recounts how a Minnesota community came together to save, renovate or build new affordable housing to meet the needs of residents with low incomes. We’ve outlined the strategies taken, the results achieved, and the lessons learned along the way. Greater Minnesota Housing Fund wrote this book to highlight great developments to inspire local elected officials, housing developers, funding partners and local residents with successful efforts to create affordable homes. You’ll find examples of groups that partnered to turn around an empty lot, to address neighborhoods in need of attention, to capture and revitalize a vacant property, and to breathe new life into obsolete buildings. This book is a companion to Greater Minnesota Housing Fund’s original book, Building Better Neighborhoods, which offered design principles for new homes that foster community. The new book, Rebuilding Better Neighborhoods, turned its attention to infill development, adaptive reuse, and historic preservation to convert underused sites to much-needed affordable homes. Copies of the book are available for purchase from Greater Minnesota Housing Fund for $24.95 plus shipping. For more information or to place an order, please contact Jill Mazullo at jmazullo@gmhf.com or 651-350-7230. New San Marco, Duluth: Off the streets and out of harm’s way. Sibley Park Apartments, Mankato: Apartments anchor a new riverfront community. Spring Creek Townhomes, Northfield: City makes most of troubled parcel. Viking Terrace Apartments, Worthington: Healthy housing scores energy-efficient mortgage. Franklin Arts Center, Brainerd: Historic junior high becomes a haven for artists. Grand Plaza, Grand Rapids: Residential revival of a former hospital. Graystone Hotel, Detroit Lakes: Historic Detroit Lakes hotel finds new life. Kaddatz Artist Lofts, Fergus Falls: Artists’ lofts revitalize a downtown. Upper Post Veterans Community, Fort Snelling: Housing homeless veterans in historic Fort Snelling. A Brush with Kindness: A hand up to residents with homes in need of tender loving care. Emerging Markets Initiative Homeowners, SE Minnesota: Efforts to close disparities in homeownership. Home Matters, Northfield: Refurbishing affordable homes across Northfield. Red Lake Homes, Red Lake Nation: Filling a huge housing need in Red Lake. Sunrise Villa, Cannon Falls: A manufactured home community buys itself. Crystal Lake Estates, Grand Rapids: Crystal Lake Estates wins over neighbors. Heritage Greens, Cambridge: Abandoned hospital site becomes new neighborhood. Kutzky Park, Rochester: From worst home on the block to best. Park Row Crossing, St. Peter: New use for a former hospital and nursing home. Steve O’Neil Apartments, Duluth: Partners come together to prevent and end homelessness.